Spring Tube's 179th release is the next full single for the tracks from our latest sampler. 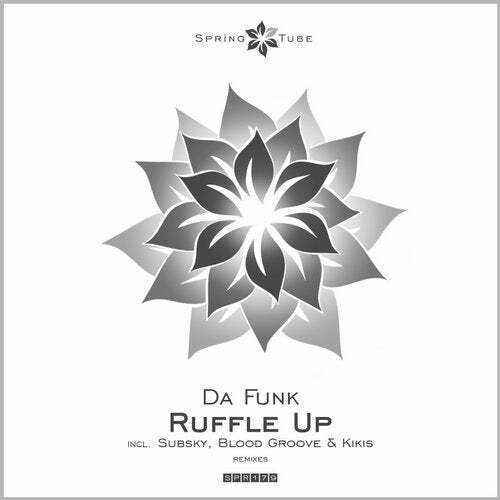 After releasing with us four remix works during three years, one full single past year ("You Got Me" w/ remixes by Kobana and Telekollektiv), and most recently his Artist Choice release on Spring Tube AC, one of Swiss finest artists and one of our most valuable residents Da Funk this year presents his second full single with us - "Ruffle Up". Besides the great original in the best traditions of Da Funk's unique sound the pack includes two massive remixes! First is the legend Subsky who returns on Spring Tube after remixing for us Stephen J. Kroos' "Pluviophile" nine months back, and again we have here the brilliant masterpiece from him! The second remix deliver one of our most devoted residents who are with Spring Tube already more than six years - Blood Groove & Kikis, and their already thirteenth remix work for us is splendid of course as always from these guys!